Dakota Pass Night Stand Craftsman Oak By Sauder. 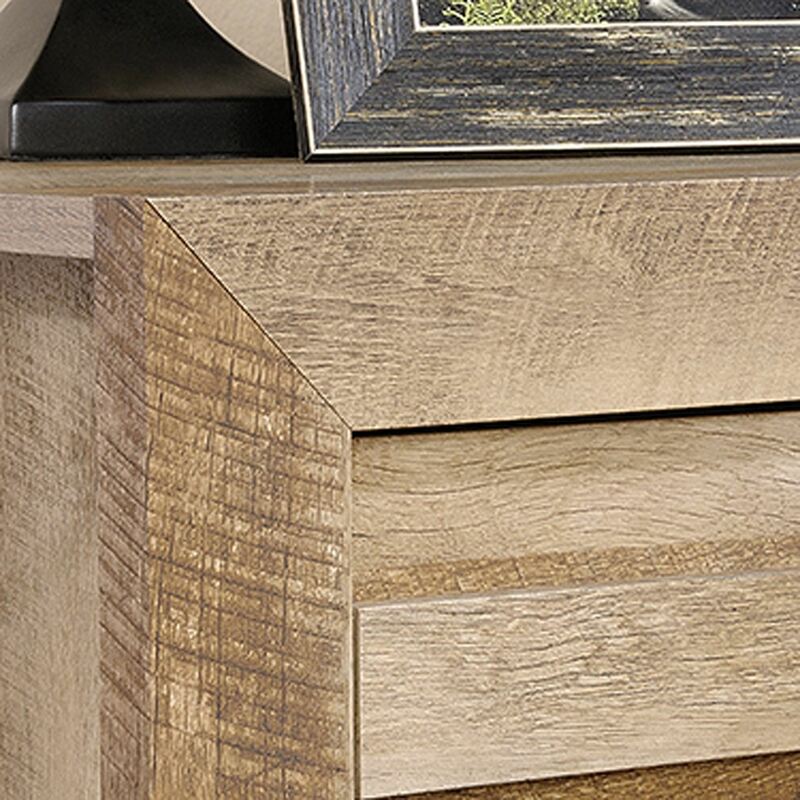 Make a bold statement with this handy stand from the Dakota Pass collection. 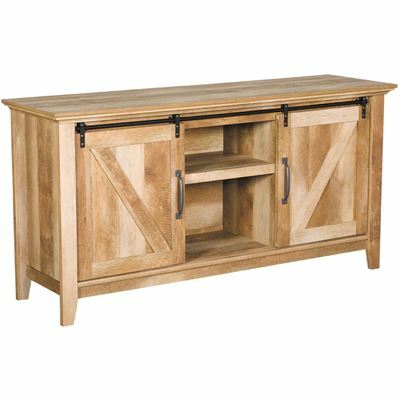 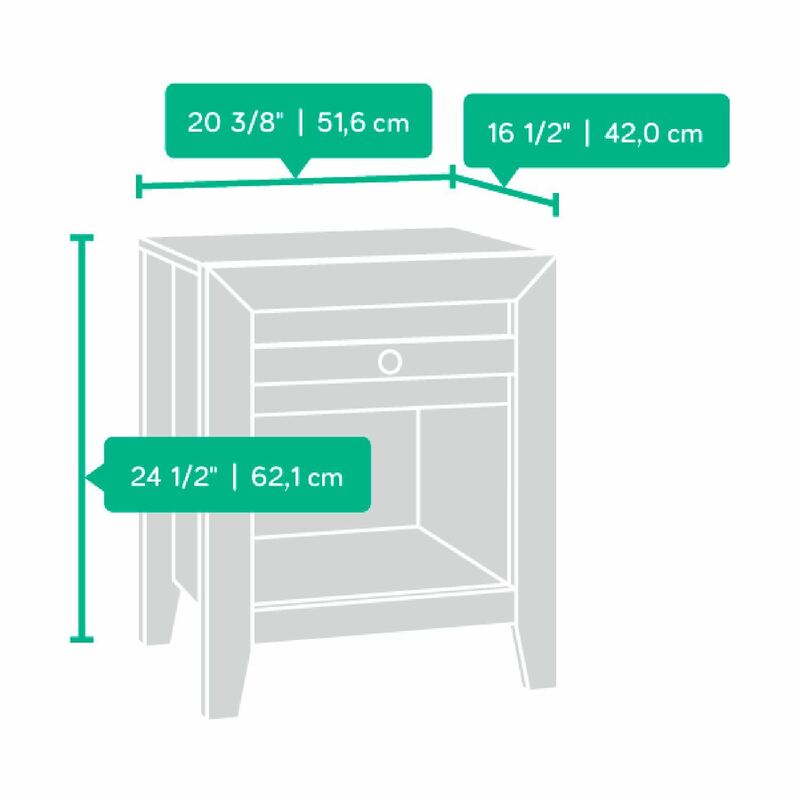 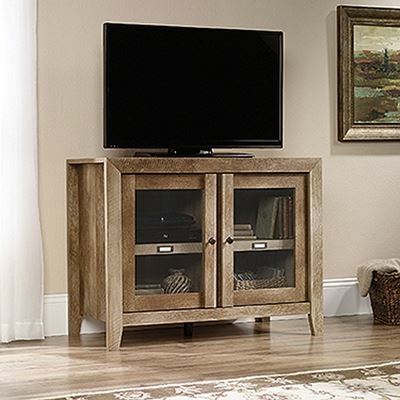 Not just for the bedroom, this versatile accent offers open storage for easy access and great decor display, and the small drawer provides a perfect place for those reading glasses, TV remote and more. 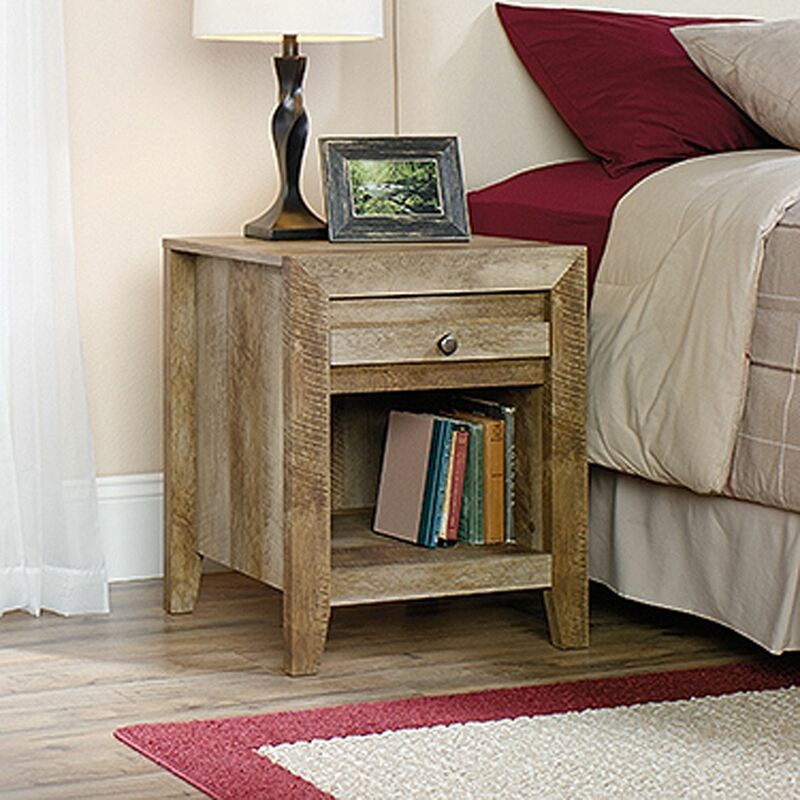 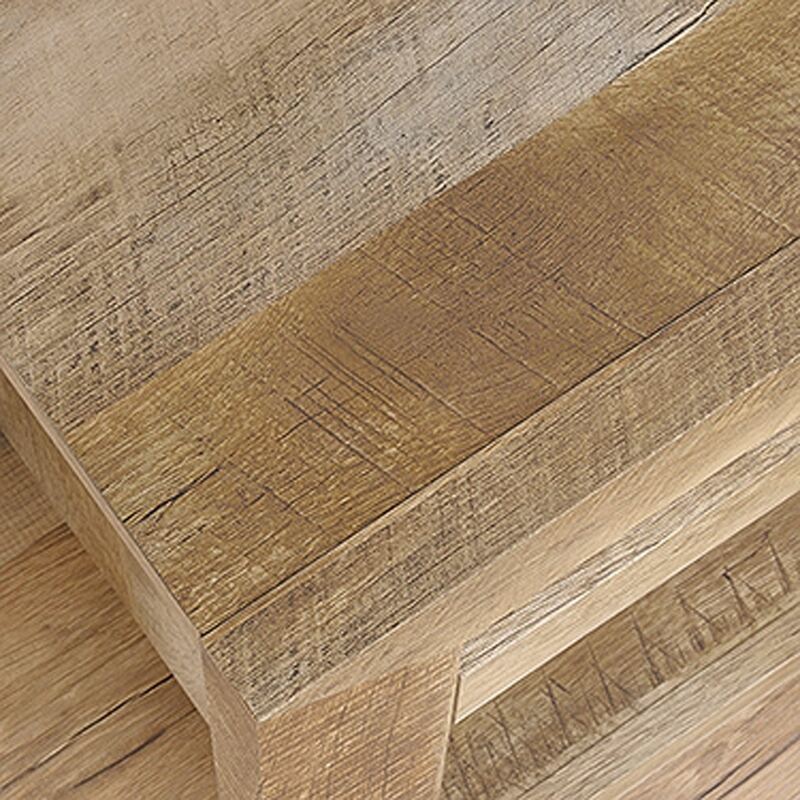 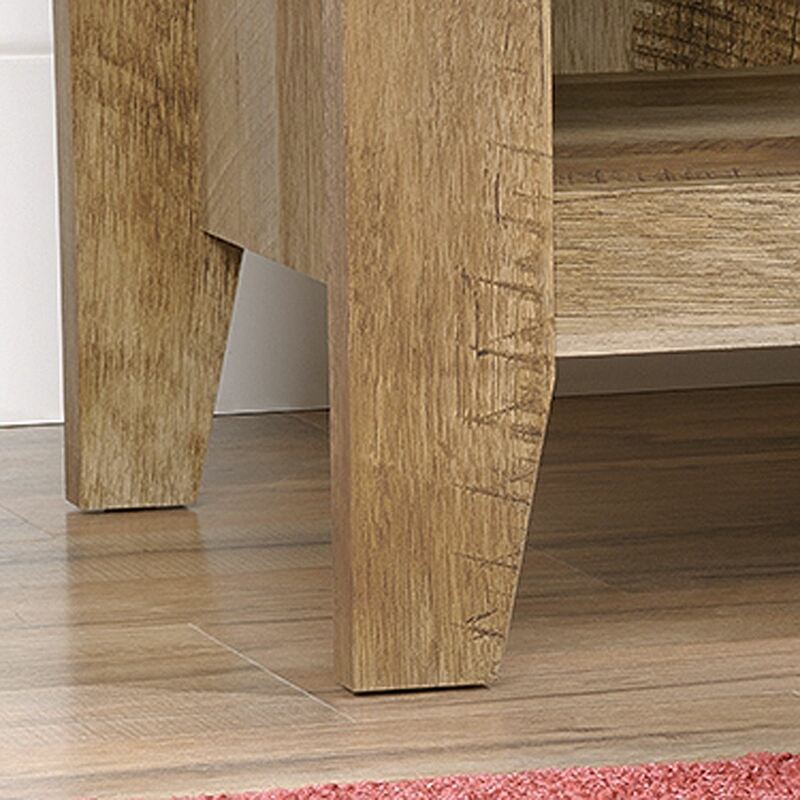 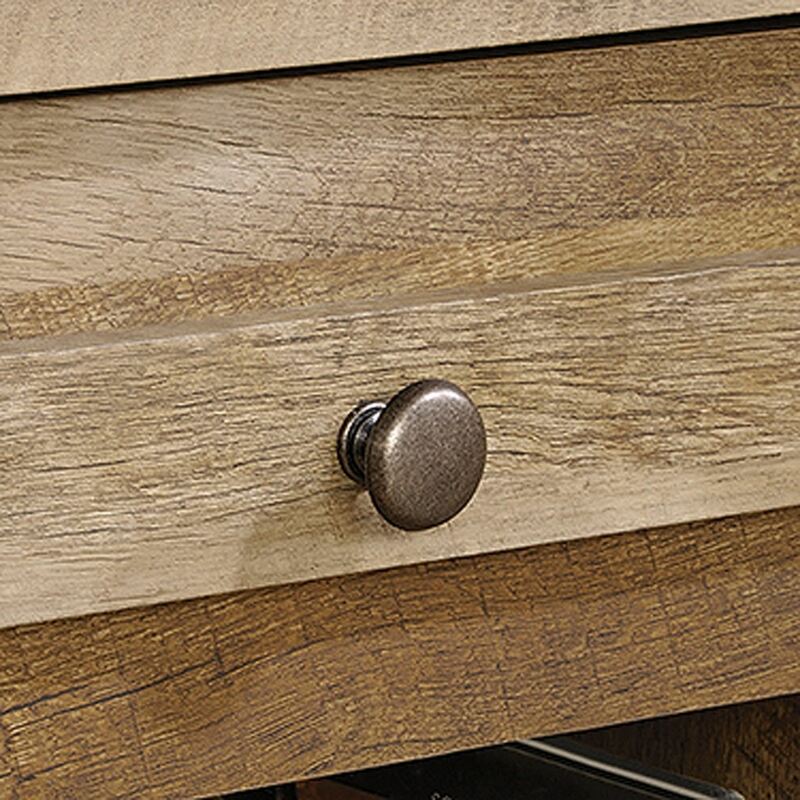 Traditional rustic country Craftsman Oak finish and details with a contemporary sensibility make this design a favorite accent to nearly any bedroom.